The Diana Foundation was founded in 1953 and became a 501(c)3 foundation in 1976, for the purpose of enabling its members to make contributions to the needs of the Houston community. We encourage readers to download our 140 page historical biography featuring the years 1954-2010 using the link to the right. Below, are two links from OutSmart Magazine, Houston's leading GLBTQ magazine, featuring The Diana Foundation. OutSmart Magazine: March 2010, Article chronicling the Diana's history, part one. OutSmart Magazine: March 2010, Article chronicling the Diana's history, part two. 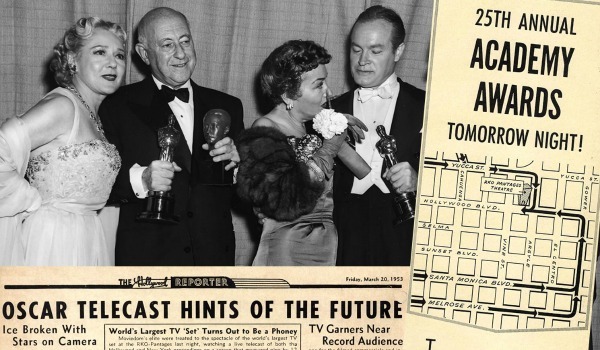 On Thursday, March 19, 1953 the country was buzzing - the annual Academy Awards were to be broadcast on television for the first time that evening. David Moncrief, a gay man in Houston, Texas who loved to entertain, was so excited about the upcoming broadcast he purchased a new television set. He invited a group of approximately ten friends to join him at his apartment for a pre-awards cocktail party and then to watch the first televised Oscar broadcast. However, the broadcast signal failed. 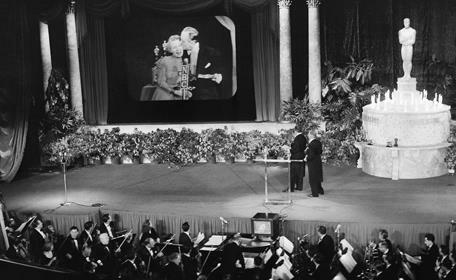 Undaunted by the 1953 failure, on Thursday, March 25, 1954, Moncrief organized a second party to watch the Academy Awards television broadcast. A man with a spirited sense of humor, David Moncrief, had bought a gag award for one of his guests. The award was seemingly insignificant at the time, but it struck a human chord that would lead to the founding of Houston’s Diana Foundation. Wright, the head of Sakowitz's window trimming department, was Moncrief's roommate at the time. He was responsible for a nearly life size plaster model of Diana, the Roman goddess of the hunt, standing in one corner of their living room. No longer needed by the department store, Wright had decided it would add an eclectic touch to their apartment. Guests noticed the same statue of the goddess Diana that they had seen the year before. Moncrief would festively decorate the statue with leis around her neck. It was a funny, campy sight and guests thought Diana appeared to be partying right along with the rest of the group during their gatherings. The Diana Foundation was born (March 19, 1953); The first Diana Award was presented (March 25, 1954); Nonprofit 501(c)3 status was given (February 9, 1976); The legendary organization of friends continues today. 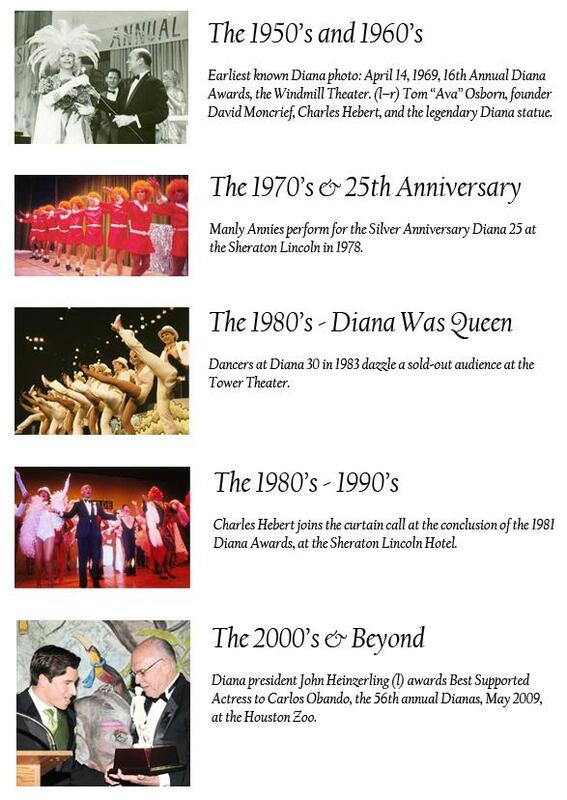 In 1983, The Diana Foundation celebrated its 30th anniversary. For the Awards Show, an elaborate set and opening number was created. The opening number of Diana 30, staged at the Tower Theater in Houston, Texas in 1983. The female lead is Mary Hooper and the male lead is Dr. Doug Thomas. Please enjoy a look back at a special moment in our foundation's history. Additional photos may be found by visiting our Facebook Photo Archive. Additional videos may also be found in our Facebook Video Archive. Here are a few memorable photos from throughout the years. 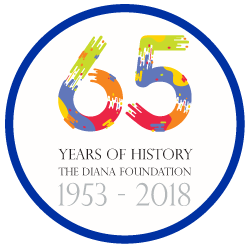 Order a copy of The Diana Foundation: 65 Years of History today!